ONE in five Aussies believe they are locked out of the housing market and will be renting for life, new research out today warned. Research released by finder.com.au said “over three million renters believe they may be renting for the rest of their life”. It found about one in five was the ratio for Queensland too, which emerged with the highest percentage of people who’d consider never owning a home (22 per cent). The figure was 19 per cent in New South Wales, 18 per cent in Western Australia, 17 per cent in Victoria, and 13 per cent in both South Australia and Tasmania. The survey had asked 2,033 people “given the current housing affordability crisis, would you consider renting your whole life?”. It found 21 per cent of Queenslanders surveyed said they were renting but intended to buy property in future. That was the highest level returned across the states in that category, with the figure at 20 per cent for NSW, 19 per cent for Tasmania, and 18 per cent for WA. 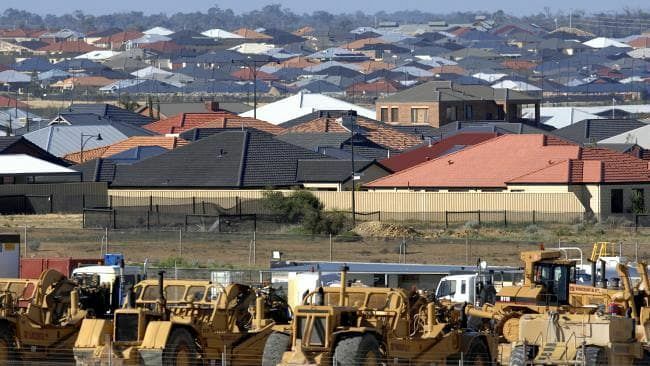 Surprisingly, Queensland had the lowest percentage of respondents who owned their own home (52 per cent), with South Australia the highest on that score at 68 per cent followed by Tasmania (66 per cent). Around 38 per cent of Aussies were currently renting, while 19 per cent were renting but intended to buy property “in the near future”. Five per cent of Queensland respondents were “rentvestors”, mirroring the national breakdown, compared to 6 per cent of Victorians, 4 per cent out of NSW and WA, 3 per cent in SA and 2 per cent in Tasmania.